“a Lamp to my feet. a Light for my path.” – John 19:27 | A LAMP TO MY FEET. A LIGHT FOR MY PATH. Jesus looks at us one by one: “Here is your mother” He says. 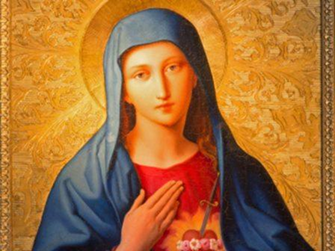 It is an invitation to all of us Christians to bring Mary unto our home, into our heart. than to go to our Heavenly Mother and resolve to be close to her. and in the service of our neighbour. to help us become truly faithful apostles…truly loving sons and daughters of God. when she hears her name on our lips, will come quickly to our rescue. She will not leave us in error or in disunion. and that we are being given help from Heaven. pray for me a sinner, that I may be made worthy of the promises of Christ.